Construction professionals rely on Huntington Bailey as a trusted partner when facing the multifaceted challenges of development, design and building. From easements and zoning, through contract negotiation, risk management and litigation, our attorneys provide essential counsel to builders, developers and design professionals. Often Huntington Bailey is brought in early in the process as part of the primary advisory team when evaluating development opportunities. We work hand in hand with our clients to help ensure they make the most of each opportunity. Contract Review & Negotiation. Our clients know the value of bringing Huntington Bailey in early in the game. Deal structure, financing and due diligence are just some of the areas where our insight puts our client at ease. Counsel to Architects & Engineers. Design firms of all sizes, from small local shops to national enterprises, turn to us for contract review, risk management and legal counsel regarding a wide array of business operations challenges. Land Use. Huntington Bailey has deep and broad experience working with public and private entities regarding all aspects of land use: zoning, easements, eminent domain and more. Construction Litigation. 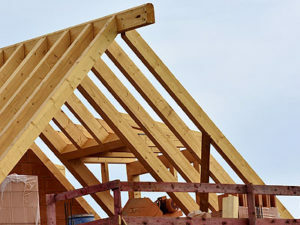 Builders, developers and subcontractors rely on us to present well-planned, comprehensive defense of construction-related claims including contract enforcement, employment disputes and more. The development and construction arena is as competitive as ever, with an ever-expanding roster of regulatory and legal challenges. Huntington Bailey provides clients with the legal expertise and experience that help minimize risk and maximize opportunity.